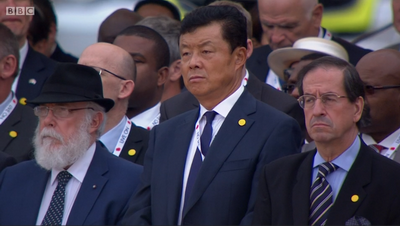 On 15 August, Ambassador Liu Xiaoming attended the UK Government commemoration to mark the 70th Anniversary of the Victory over Japan Day at the Horse Guards Parade in London. Led by the UK Ministry of Defence and the Royal British Legion, the Commemoration was attended by the Prince of Wales, the Duchess of Cornwall, Prime Minister David Cameron, senior military and political officials and ambassadors of relevant countries. The event was aimed at reflecting on the 71,000 British and Commonwealth casualties during the war against Japan, including 12,000 British prisoners of war who were tortured to death in Japanese concentration camps. At the Commemoration, veterans spoke to recall the hard years and honour the fallen comrades. 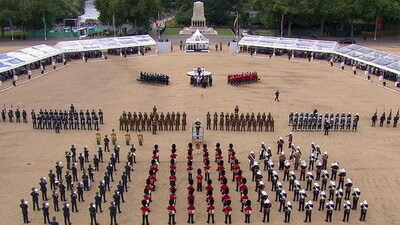 Wreaths were laid by the Prince of Wales, Prime Minister David Cameron and others.